Spending time in the kitchen and cooking new recipes helps children to develop a positive connection to all different types of foods including fruits and vegetables. Forming a positive experience with fresh foods is so important because healthy foods are the foundation for good nutrition. 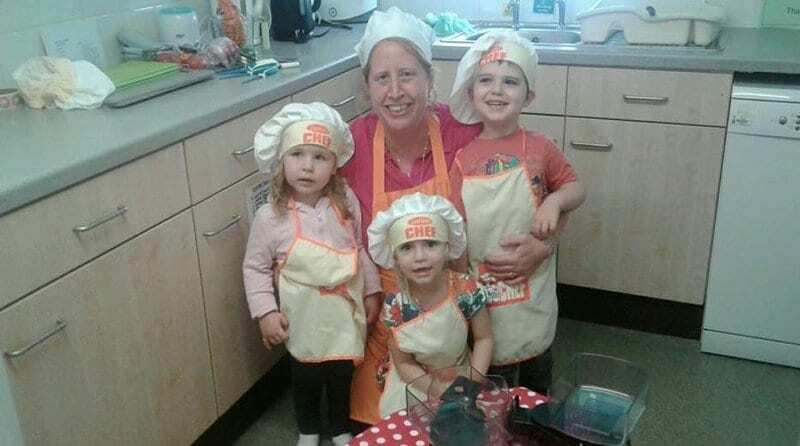 The latest addition to the Tops Day Nurseries family, Tops Salisbury, have officially launched its extremely popular Tops Cooking School as an extra-curricular activity for its children. The cooking workshops will be run twice a week at the nursery for children to learn, make and get excited about food. Children will be involved in the whole cooking process and learn skills such as mixing, kneading, chopping and pouring all with close support, to encourage and develop the skills of independence. The recipes that the children will be following stem from the nurseries’ own no-added sugar menus. Tops Day Nurseries launched their new no-added sugar menus across all 19 nurseries in support of the current national campaign to promote healthy living amongst children. The new menus have been designed to ensure the children have a fully balanced diet throughout the day, and importantly have reduced the sugar intake with the meals and desserts provided. Tops Day Nurseries also received a visit from multi-Michelin starred chef Jean-Christophe Novelli, after Tops Day Nurseries was brought to his attention following a segment on the news. Jean-Christophe commented, “It is wonderful to see that Tops Day Nurseries are as keen as I am to help our children and their parents understand nutrition from this important age of their development, I only wished more schools were this conscientious”. Recently, the children enjoyed getting mucky making tuna fishcakes. They used their fine and gross motor skill to peel and chop the vegetables, crack the eggs into a bowl, then using their utensils or hands they mixed all the ingredients up together. Other tasty treats include blueberry muffins and chicken couscous salad. Younger children have been learning how to chop fruit for snack time using special safe cutting knives. The step-by-step nature of following a recipe helps build children’s comprehension and reasoning skills. Food nourishes our bodies, provides comfort, and can symbolise love and security. When children help in the preparation of a meal, they feel they are making an important contribution to the adult world. This fills them with a sense of pride, personal satisfaction and self-confidence. Tops Salisbury offers childcare for children aged 3 months – school age, as well as for 5- 14 year olds through the nursery’s play scheme.